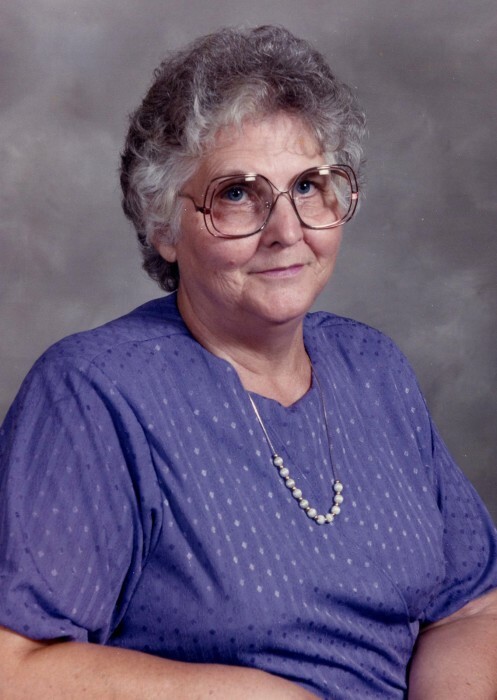 Luster Lorene Wilson Housel, 91, of Reidsville went to be with the Lord Monday April 1, 2019 at Annie Penn Hospital. Graveside services will be conducted 2:00 P.M. Wednesday April 3, 2019 in Reidlawn Cemetery with military rites. A native of Lawrenceville, VA, she was the daughter of the late Harry Luster and Ida Lorene Dye Wilson and had lived in Reidsville most of her life. She was a former employee of Western Union , Sears Catalog Sales, and Lorillard Tobacco Co. and was a US Air Force Veteran. Survivors include daughters: Maria Turner (David), and Paula Brame (Doug) both of Reidsville, grandchildren: Melissa Cross (Dan), Jason Brame (Cheri), Scott Brame, Julie Brame, Jeremy Brame (Meg) and Katelyn Turner, six great grandchildren, special cousins: Freddie Brim and Carol Jean James, and a special friend Ron Perkins.